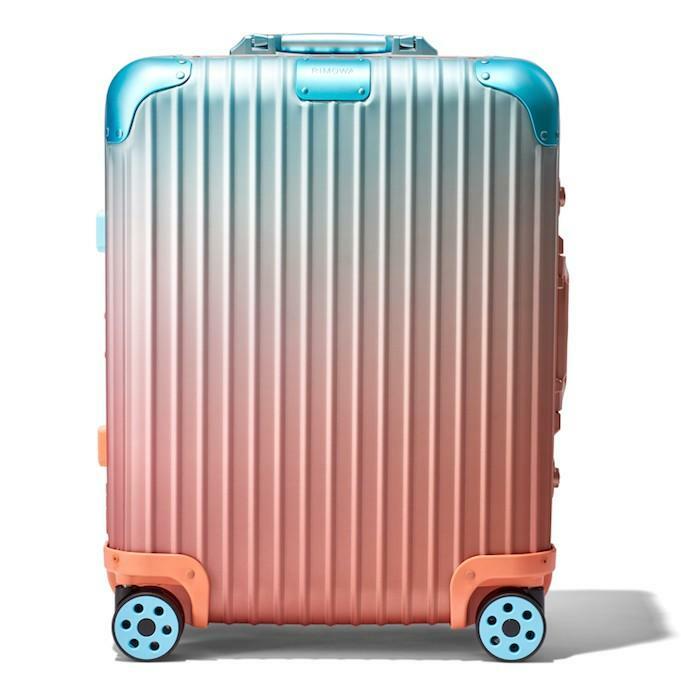 RIMOWA and artist Alex Israel have joined forces to create the first-ever collection of color-graded suitcases based on the iconic aluminum RIMOWA Original. A native of the City of Angels, Israel’s work explores popular media, Hollywood, and the cult of celebrity, while positing LA as central to an understanding of American culture and the American dream. For the RIMOWA x Alex Israel collaboration, Israel has reimagined the suitcases in colors based on the LA-sunset, drawing directly from the palettes of his “Sky Backdrop” and “Untitled (Flat)” paintings, while using innovative new printing techniques to transfer his signature colors onto aluminum.